I'm so sorry. I'm kicking you of my limb! Last week we discussed hashtags and why they are important for you to use when you use Twitter. 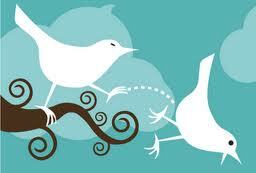 This week it's important to understand how Twitter works with follows and unfollows. I don't know about you, but when I follow someone on Twitter, I hope they follow me back. My following was going up but my followers weren't. 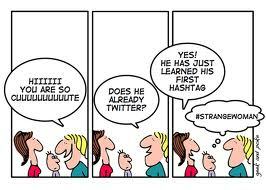 I would look up a hashtag that interested me, like #amwriting, and began to click follow on everyone. Of course they were going to follow me back! They used #amwriting too!! 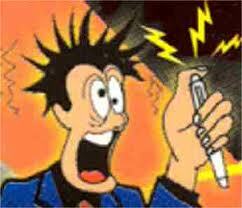 Oh, well. . .I continued to follow everyone and everyone that followed me I would send an automatic follow. PERFECT, until. . .I was stuck! Twitter only let me follow 2k tweeps. TWO-THOUSAND? That's nothing!! But I was stuck, I couldn't follow anyone back. What to do? I knew that if I just emailed Twitter, the Twitter God would see that I'm truly a nice person and let me put my nest higher up in the tree. Right? Now what? How was I going to figure out how to unfollow my Twitter peeps? What if I unfollow someone that is following me? Am I going to get hate tweets? Cyber bullied? I began to go through the list of tweeps I was following and couldn't believe how many weren't following me back. Not that their tweets didn't matter to me, but they were taking up my limb on the part of the tweet tree! And my limb can only hold 2k tweeps. Fine. I went to Twitter and and opted out of auto follow, and then began to unfollow the "egg head" gravatars, movie stars, and some authors until Twitter stopped me after I reached the 100 daily limit. It was going to take me forever to unfollow just so I can follow again. I went back to visit my old friend, Google, because I knew there had to be something out there that would let me unfollow more than 100 tweeps. Guess what! I found several sites that not only tell you how many people aren't following you back, it lists them for you. And when I saw a few of "my friends" on there. . .sigh. . . The best part, I could mass unfollow and Twitter let me. So I started my walk down my limb on the Twitter tree and kicked off some tweeps that was taking up valuable and LIMITED space. I didn't unfollow just anyone. Using MagageFlitter.com, I found out how many people weren't following me, and over 200 of my tweeps hadn't twittered in months, years! I had never thought about those tweeps who have dumped Twitter and taking up space on my limb. ManageFlitter.com also lets you know who are the talkative tweeps on your limb and who are the quiet tweeps. This really helps you decide who you should be tweeting or not wasting your time. I'm not saying that the quiet ones are a waste of time, but you are on Twitter for a reason. Copy blogger has a great blog post on how Twitter really does help you as a writer. I'm not saying to go and unfollow all of the tweeps not following you. All I am saying is that you use Twitter as a social media tool for your writing, and you need to think long and hard about the tweeps your tweets are getting to. If someone is not following you, your tweets aren't getting to them unless you mentioned (@) them. Or those tweeps who you are following that hasn't tweeted in over a year or TWO? I had 200 tweeps that haven't tweeted 9 months to two years and what a waste of space they were taking on my little limb in the Twitter tree. What about those people who you really want to follow that teach you something about writing? They might not follow you, but you get something out of their tweets. That's great. You should be following them, but not if you are at you 2k LIMIT. Go ahead. I give you permission to walk down your Twitter limb and kick off anyone that isn't on your social media bandwagon. I give you permission to knock those tweeps off! You spend too much time on your social media to have sleeping tweeps. Now I'm off to figure out how to get more followers. If you want to gain more followers, Missy Biozarre has a great blog post about how she reached 25k followers! Social Media Guide has a list of a DOZEN tools to unfollow tweeps that aren't following you. 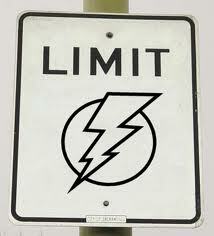 Have you reached your Tweeps limit? How did you get Twitter to let you follow more than 2k tweeps? This is my goal! I'm going to get my followers up, so I can follow more! "How well do you know me?" your novel asks. Do you ever say to yourself, "today is the day I'm going to writer for five hours straight!"? Come on. . .fess up! And did you decide to clean the kitty liter or dust under the couch or even take a tooth brush and scrub the hardware on your toilet? It's okay, don't be ashamed. We've all been there. And we've all blamed it on WRITERS BLOCK!!!! I'm not saying all that cleaning isn't important. In fact, my desk has to be spotless before I can even think about writing. This is stress that I put on myself. 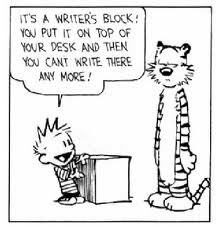 When writers ask me about writers block, I don't laugh, but I don't really believe in it. I think that stress has a lot to do with writers block. Stress? What? We don't have stress. We have the best job in the world. We get to pour our every thought on the page. . .
. . .until we really sit down to work and all the other stuff in our lives creep in. I'm not going to debunk whether or not you believe in writers block, but I would like to offer some tips on how to push through the times you feel stuck, unmotivated, blocked, whatever you call it. 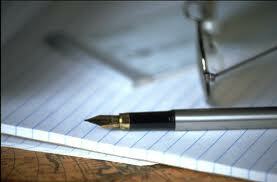 1) Keep a pad of paper or journal with you at all times. As writers, even if you have another job, ideas or story points are always popping into our heads. Regardless, lesson learned. Now I carry pad and pencil in my car and purse at all times. If you have an idea, you can write it down. When it's time to sit down and write, you can refer back to your journal and instantly have a place to start. 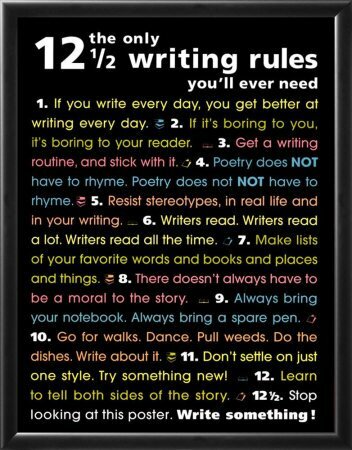 Writers always tell that to other writers. Successful writers always give that as advice when asked. It's true. Think about it. Reading helps you escape, it melts away your stress, and your creative juices start to flow. A lot of times someone's words will trigger a new thought to the scene your writing. OR give you an idea on how to expand the scene. I have a hard time with dialogue tags. I'm one of those authors who can't stand to use he said, he yelled. Blah, blah, blah! I love finding new tags within other author's work. Hopefully you will find reading will help you keep going on your novel. 3) Take a trip for research. Research can be fun. My novel, Carpe Bead 'em, had a neat little coffee shop setting in a few scenes of the book. When I knew it was time to work on that scene, I had to get the smell, the customers, the lingo exactly right. I packed up my laptop and headed to the little coffee shop that my fictitious coffee shop was modeled after, and let my creativity fly. Not only did I get the descriptions of the smells, feel of the shop and its customers, I began to write, write, write. If you are having a lot of distractions in your writing environment, I suggest looking back to when you first became a writer. For me it was writing in the back seat of my van during school pick up when my now four teenage boys were in elementary school. It was a place that I couldn't get up and fold laundry, let the dogs out, start dinner. It was boring to sit there for an hour or so and wait. With nothing to do, my characters began to talk to me, helping work through scenes. Before I realized it, I had over two thousand words. 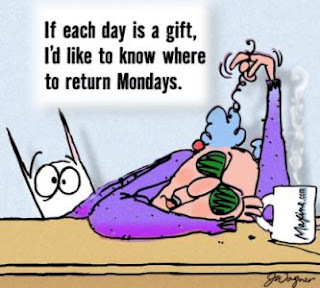 Talk about getting my mojo on! I did this every school afternoon for over three years. 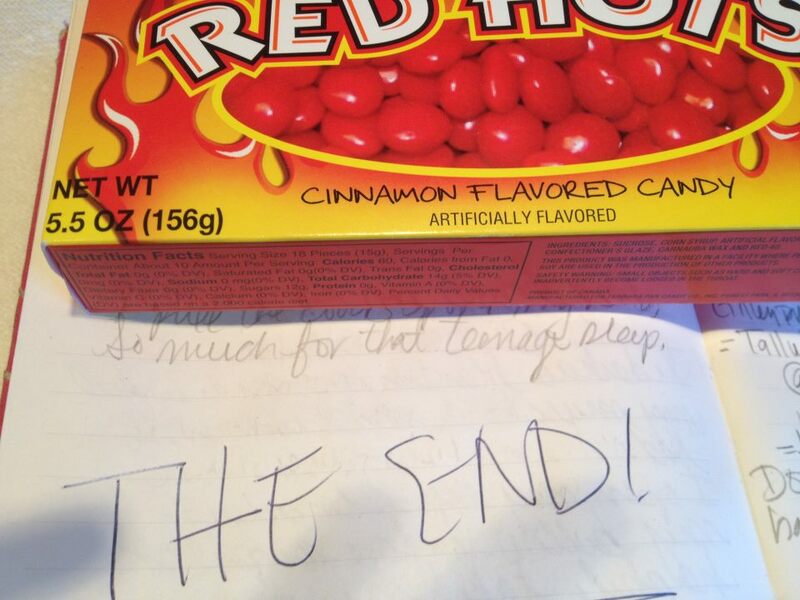 That was a lot of writing. Now my kids don't need me to pick them up, but on occasion you will find my van in the grocery store parking lot or even my driveway, writing away. I know, I can hear you now. Are you crazy? I am a tiny bit, but believe it or not, if I'm stuck this never fails me. The first paragraph might be crap, but I just start writing and my characters begin to rock on the page. Have you had writer's block or gotten stuck? What are some of your suggestions? Do you think you will attempt any of my ideas? Author Lois Winston was a guest this week on Ellis Vidler's Unpredictable Muse. 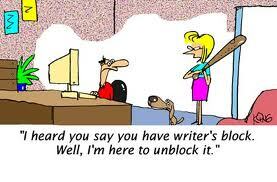 Some people believe that if you pamper your muses that it will help with writers block. 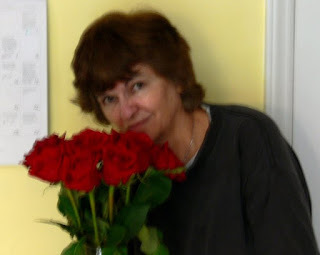 Anne R Allen has a great blog on how to pamper your muse. Author Clarissa Draper's take on writers block is boredom! One Size Does NOT Fit All When It Comes To Marketing Yourself! 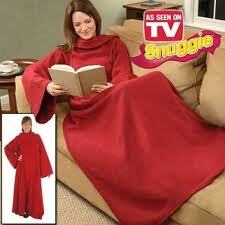 Seriously, do you see those snuggy commercials? As a matter of fact, someone gave me a snuggy as a joke for Christmas. . .and one size does not fit all. I began thinking about this concept and how it relates to marketing and promoting books. I have heard that marketing and promoting is something very difficult to do. No matter what publication journey you are on, marketing and promoting is primarily up to you, the author. And I've got you covered! 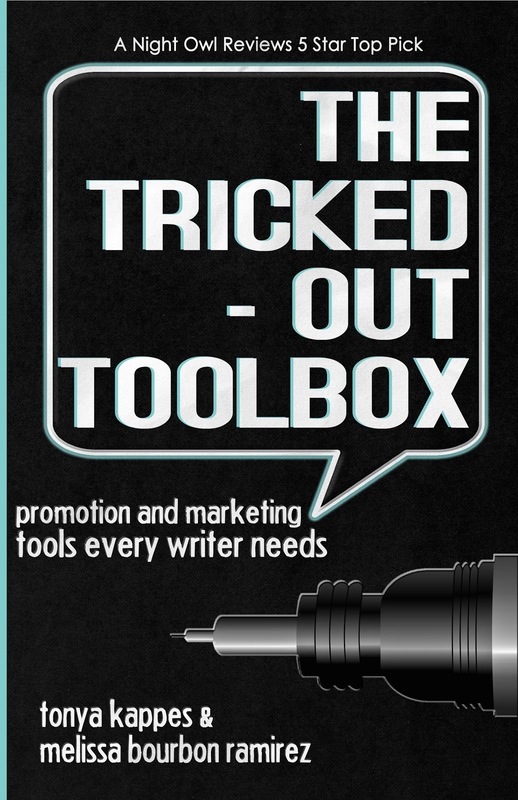 I’ve co-written a non-fiction book with author Melissa Bourbon Ramirez, The Tricked Out Toolbox~Promotional and Marketing Tools Every Writer Needs, (TOT) that will be available as a second edition in less than a month. My vision for the book was to look like one of the Dummie's guides, chalked full of ideas, tried and true tools that worked for other authors, and testimonies from them. I am published with over 32,000 ebook sales in under six months, so I'd like to think I know a little something about marketing and promoting. The first thing about marketing and promoting that you need to figure out is your PR PERSONALITY! You do have a PR personality. Believe it or not. Me....I'm very outgoing. I love being with other writers, readers, and just about anyone. This makes me an extrovert personality, which is an outgoing overtly expressive person! Me?!!! OVERTLY EXPRESSIVE???!!!!! The other side of this personality is introvert. Which by MR. WEBSTER means a shy, reticent, and typically self-centered person. In TOT, this is the first thing you should recognize before you can create your marketing and promo plan. After all, you do need a plan. You are your marketing and promoting department. You need to know what marketing and promotion personality you have before you can start developing your plans. Why? Because your personality will drive the direction of your marketing and promotion efforts. It’s all about knowing your strengths and weaknesses…and working toward the former. Take this quick quiz to identify your personality strengths. 1.Do you consider yourself a people person with a lot of friends? a.❏ Totally. The better question would be…who ISN’T my friend? b.❏ Not really. I have a few friends, but I usually only talk to them one at a time. 3.What room in your house do you like to spend more time? a.❏ I love spending time in my bedroom because it’s my space and it’s quiet. b.❏ In the living room, of course, because that’s where the action is. 4.Are you loud or quiet? a.❏ hang around at home, listen to music, and just have quiet time. b.❏ get my peeps and hit the town. 6.How does the idea of talking to readers at a book signing make you feel? a.❏ Scared out of my mind. b.❏ Excited! Can’t wait to get around all those people. 7.There’s a conference coming up and they need speakers. What do you do? a.❏ Dodge the incoming phone calls from the conference coordinator. b.❏ Jump at the chance. Who cares if I have nothing to say? I can bluff my way through. 8.In school, there were collaborative learning groups. How did you feel about them? a.❏ I would much rather work on my own. 9.Your local writing chapter has board positions to fill. What do you do? a.❏ Decline the offer. I don’t like speaking in front of groups. b.❏ Jump in and volunteer to be president. 10.If you’re invited to join a critique group, what do you say? More As than Bs? You’re in introvert. More Bs than As? Extrovert alert! File this away as you pick tools to stuff in your toolbox. You don’t want to set yourself up for failure by choosing tools you won’t be comfortable using. These are just a few suggestions to get you thinking about things you like to do and don't like to do. This is your career. Pick things that you like to do, not the things you think you should do. If you do what you like, your success will follow. Maybe you like to do something that are a mix of both personalities. That would be the perfect blend. But most of us are one or the other. Which one are you? What are some things you like to do or think you'll like to do to promote your book? Next week we are going to talk about when you need to start marketing and promoting your career. 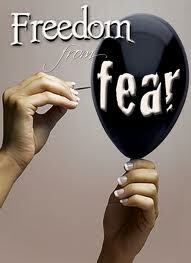 Are You A Fearful Writer. . .Don't BE! Some of you may roll your eyes at those quotes, but fear is a real emotion for some writers. As writers, we have all these stories in our head, and sometimes those stories don’t make it on the page because of fear. Does this sound familiar? Let’s look at a few fears that might be holding you back. Well…this amazes me because you are here, reading my blog and I have a lot of great readers who encourage me to write more. It only takes one comment to make me feel better and a little less fear. You are a writer! You have something to say, whether it’s blogging or writing that great book. Call me! I’ll tell you how much you matter. Yeah, yeah. . .I have this one too. So maybe I’m not soooo old (ummm forties, but my kids think I’m ancient! ), but I do wish I would’ve figured out my love for writing a little earlier in life. Look at it this way, we get wiser with age. This will add depth to your writing and patience! Didn’t you know that patience really is a virtue in this business. Okay. This is very much a concern because details are so important in a novel. Trust me, if you get a color wrong on a 1948 Chevy truck because they didn’t make that color back then, those Chevy experts will come at you in troves! LEARN to love to do the research. Make it fun. If you need that 1948 Chevy in your novel, you can take a day to visit a Chevy dealership or if you are near Illinois you can visit the Chevy Museum. This is your novel. You should love learning about your characters and their environment. Step back and make it fun. My group of characters in Carpe Bead ‘em, had a spa weekend. Guess where I went for the weekend with a group of my girl friends? Yep! The spa, and had a Moor mud bath. . .ah. . . . There seems to be a lot of this question in the online social media age we write in. Do we reveal too much of ourselves on line or even in our novels? A lot of readers ask me if I’m anything like the protagonists in my novels. Most the time there seems to be a hint, but for the most part my protag is pretty much her own. But it doesn’t mean that we aren’t baring our souls in each and every word we write. If we are digging that deep, which I know you are, you are going to really touch your readers! This happens to me with each book, not just one! Somehow during the writing process or when I’m wrapping up edits, another book or story plots literally moves into my head, kicking out the previous characters. You are a writer. You have several books in you and you need to realize it! Some of your stories might take longer to come out or for you to write them, but they are there just waiting to be written. Most of us fear being rejected. This fear alone can make you so scared that you won’t ever finish that novel. Rejection happens. It’s such a subjective word. But you have to realize everyone is different. There are no two people alike. AND you can’t please everyone. If you believe in your work, your words, that is all that matters. Go into any bookstore or online, find the author’s website or read their story. At some point in their career they were rejected. Every. Single. One. But they kept going. They found someone who really liked their work. They never gave up and neither are you! Remember that the difference between a winner and a loser. . .a winner NEVER gives up. What? Fear of success? I bet you are rolling your eyes again. . .yes! This is a real fear. Success means that you are read, people love you, you have to produce more. These are enough to stop you in your tracks and stump your career before it begins. You only have to take your career one step at a time. When you get to JK Rowling status, you can worry about success then. How do you get over these fears? Writer’s Digest has a great article on TenWays to Harness Fear And Fuel Your Writing. Kristen Lamb has a great blog on the fear of blogging, Here There Be Blog Trolls–How to Spot Them & What To Do where she discusses those nasty thoughts she calls TROLLS, and gives some great suggestions how to overcome those trolls. Do you have any of these fears? How do you overcome them? We all want to know. Believe it or not, most writers aren't on Twitter. They find it a little to fast or just plain confusing. Admittedly, they are right. Twitter can be a tad bit confusing. When you tweet, there can be 25 more tweets from other people before you even finish typing in your tweet. PLUS who can write their thoughts in 140 characters? If you are anything like me. . . I have a lot to say and 140 characters don't cut it. But I have found so many helpful authors that were willing to help me learn the in's and out's of tweeting and I've got my own twideas (my made up word for tweet ideas. Hey, I'm a fiction writer in my own world!) up my sleeve. 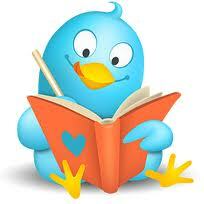 Twitter is a powerful tool for you to use to reach readers, writers, and other industry professionals. Using the proper hashtag (#) is the way to reach your target audience. Before we talk about hashtags, we need to talk about etiquette and how to use Twitter effectively. There are so many times I get tweets from authors that are "buy my book," "check me out," and this is a turn off to me. That in your face marketing really doesn't work for me and my personality, and most people don't like that type of marketing. Think about it this way~ you know those unwanted sales people that show up at your door selling knives, carpet cleaner, magazines? I just saw you roll your eyes! YES! If you get on Twitter and YELL "BUY MY BOOK" "HERE IS THE LINK TO MY BOOK," they will slammed the door in your face or click unfollow. People want to get to know you, and like you. Trust me, if you establish a likable relationship with your readers or tweet followers, they are more than likely to buy your book because they like YOU! The best advice I can give is to make yourself likable by paying it forward to others. Simply by retweeting other's tweets, or even commenting on tweets that you find interesting. It only takes a few minutes a day to get on twitter and tweet back. Reply to simple things that make you personable. Someone might tweet, "what's for dinner" and it only takes a second to reply to that tweet. But be careful not to get sucked into tweeting for hours. It can happen! Hashtags help those who seek similar content to discover your tweet. Okay...so this is about my blog, I'm not saying don't promote yourself, just don't be in your face. I want to help others with my blog, so I write things here to help do that. Let's break down the tweet. RT (Retweet abbreviation because we only have 140 characters! UGH!) is a way for me to gently tell people that I would appreciate them to retweet my tweet. @tonyakappes11 is my twitter handle and this is how I can track who is retweeting me, and what tweets get the most tweets. The http link is a link to the blog I'm tweeting using the bitly.com website, and since we can only use 140 characters, I highly recommend using this site. Bitly.com will also tell you how many people have clicked on your link from your tweet. Lastily, I have the hashtags of the target audience. How often do you tweet? This is another big thing. Statistics shows that someone has to see something between seven to ten times before they recognize "hey, I think I've seen that before." Ten to fifteen times to remember the name. This is why scheduling tweets can be a good thing. There are a lot of people who say scheduling tweets are not personable and I agree, but that is why you jump on twitter a couple times a day and quickly respond to a few tweets. I use Twaitter.com to schedule tweets. I schedule hourly, daily, weekly, and monthly. And the tweets that I schedule are upcoming events, blog posts, promotions for others, and a few quotes. This allows me to keep a presences on twitter when I am at the day job, sporting events for my kids, or even out to dinner with my husband. But I also jump on a few times a day and make live tweets. Ghostwriterdad.com has some other great site besides Twaitter that you can use. 2. #amediting – …and this is for when you’re editing your work. 3. #askagent – Some agents will answer questions that are tagged with this. You are following agents, right? 4. #fridayreads – So you can tell people what you’re reading. Happens every Friday. This is a great place to get your name out if you can get friends and fans to tweet your book as a Friday read. 5. #WW – This can mean a couple of things, but for the literary types, it means “Writer Wednesday.” This is sort of like Follow Friday. Name some of the writers you follow and tag them up. Some will even return the favor. 6. #pubtip – Agents and authors will often throw out some useful tips with this hashtag, for querying and for publishing in general. 8. #wordcount – Writers love to commiserate, especially over word counts. Share yours because it might inspire you – or something else – to keep at it. 9. #writetip – This is another great opportunity to find, or share, some inspiration. 10. #FridayFlash or FictionFriday – This is a good way to stay loose. Write some quick fiction on your blog and share it through these hashtags on Fridays. #inspiration - I love quotes and want to make people feel good about their daily life. #payitforward - Again, I want to help anyone I can. I believe in it! #indieauthor -I'm also self published and want to help my fellow authors. #beading - I write cozy mysteries with beading elements, so I want to reach that target audience. #cozymystery - This is a target audience for me. #promotion - Another target audience. #sharethelove - Another pay it forward audience. I'm adding to the list! What are some of your favorite hashtags or twideas? Do you have an twitter questions? 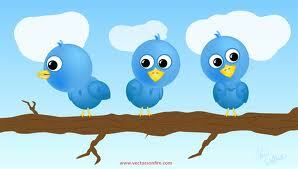 BTW. . .if you would like to have some tweets tweeted for you for free, check out WoMen's Literary Cafe! Sign up! IT'S FREE! Great promo and it's easy!! Year of Change. . .Shooting for the Moon! Over the past six months my writing career has gone from zero to 90! It's been so much fun getting to know all my fantastic readers. As a matter of fact the cards below are from my readers! 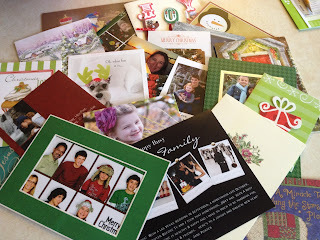 I couldn't believe how many Starbucks gift cards, ornaments, or even just a simple note that I got. It's me who should be showering them with gifts!! I spent most of the holiday writing away on my cozy mystery, Strung Out To Die. It's been so much fun actually writing that many words, digging deep into the character and NOT just skimming the top. As a self-published author, you have the ability to write until you think you are finished. Sometimes that means that you aren't fleshing out those characters, or even that scene. I continued to write and write, making the decision that I had a career path. I want more readers, more author friends, and more of the crazy business. 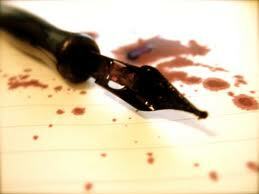 Writing is in my blood!! And I love a good fleshed out story. 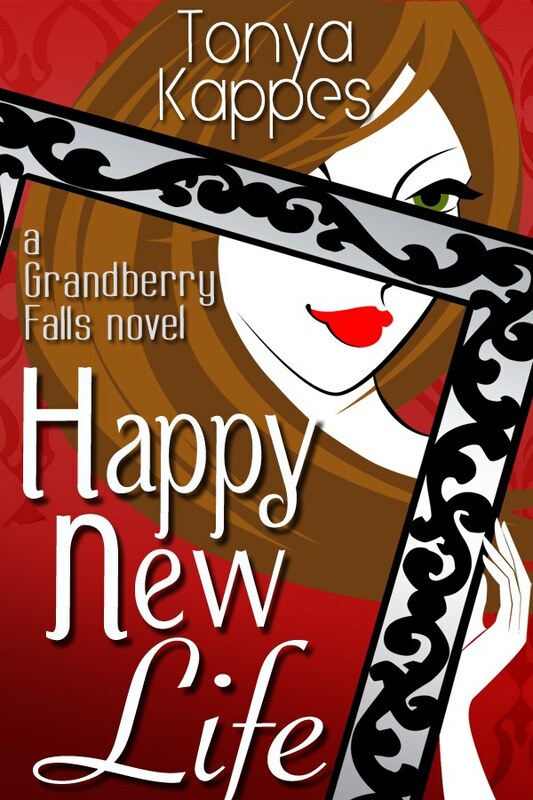 I admit that as I wrote the first two of my Grandberry Falls novels, I didn't flesh out the characters as well as I could have, even though they are really great stories. And sitting down to finish Strung Out To Die really had me thinking about what I really wanted in my career. I've always said that I WANT IT ALL! 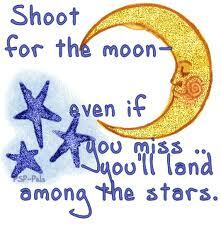 Movie, TV show, radio interview, book tours, self publishing, etc....Shoot me, I dream big! Anyways, my Divorced Divas really do deserve to get the chance they deserve. Be completely fleshed out, learn to love them, make a great series, and get it to the masses. I'm seeking that ever loving agent. . .yet again. What does THIS mean??? For those of you who truly know me, you know I don't stop until I get what I want. And this has always been my goal. For those of you who will never seek an agent again, that's great and your career is your career. For those of you that are readers, you don't care as long as my book gets in your hands. And no matter what Strung Out To Die will get to your hands by a publisher (either me or a company). So I dipped my toe into the pool sending out a few of those queries over the holiday, mind you the book wasn't even finished, and a few things happened. Five full manuscript requests, one three book deal proposal, and an indie site asking me to enter an indie contest for non-published manuscripts (it's totally on the up and up!). That to me gave me the push that I needed to realize that I really hadn't fulfilled my dream. What does this mean to my indie career? NOTHING! The best thing about being self-published is that you can do it no matter what! And I still have the Olivia Davis Mystery series, anthologies, short stories, along with my next book that will go with Carpe Bead 'em, that will be self-published this year. Does this effect my grogs? Nope! As for The WoMen's Literary Cafe, that is about promotion and marketing. Every single author no matter what publication journey they are on has to do that! The Naked Hero is a grog for readers! I will be connecting with all readers again and my blog here is about anything we want it to be about. Happy New Life Free For A Couple Of Days! Happy New Life is free for the next couple days! I wanted to thank everyone for your support, and the only way I can do that is to offer you a free book! If you have it, please pass it along and let someone else discover Grandberry Falls. Interior decorator and divorced mom, Liz Day, is living her dream by opening up The Mole Hole Interiors. Life couldn't be better with best friend Jenna Greenlee and boyfriend, Cole Michaels by her side. 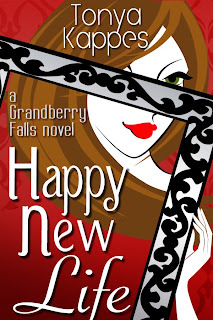 Until she discovers a deep secret between Jenna and Cole that will change the lives in Grandberry Falls. Jenna vows to make the new year, the beginning of a NEW LIFE. . .HAPPY NEW LIFE. "Another wonderful, heart-felt trip through Grandberry Falls. Recently divorced all Liz wanted was a place to call home, where she could raise her son apart from the life she was leaving behind. Life was coming together, finally. Every other weekend saw her traveling, taking her son to visit his father. The rest of the time saw her running her business and falling into place perfectly. Still, something was missing . . . or is that someone was missing. Enter Cole. Sparks fly almost instantly between Cole and Liz, but when Liz sees the reaction her BFF Jenna has to him . . well, things get a bit confusing for Liz. Does she follow her heart and check out this connection with Cole that she can't deny is there? Or does she stay true to her friendship and dis him because her BFF has a problem with him, even if she doesn't understand what that issue is? It also doesn't help matters that when Liz moved to town she was talked into getting a dog and Cole just happens to be the dog trainer and local vet. I tried really hard to make this book last a few days. I was making sure to only read a little bit each night, and I did good for a few nights. Then last night when I picked up the book, it had other ideas. I started reading and before I knew it, the book was over! You can download your copy of HAPPY NEW LIFE on Amazon. Being A Chart Topper Isn't Enough! Over the past few weeks, I've been looking at what I did over 2011 to help my publishing career take off. Even my “goals” had drastically changed from this time last year until now. What I do to be successful is NOT for everyone. When I decided to go Indie, I priced my book at 2.99. I DID great at that price point and made it to Amazon’s best seller list on the first day by selling over 300 copies. After a few days and after my friends and family had bought Carpe Bead ‘em, I slowly saw sales decline. Again….if anyone knows me, they know I’m an instant gratification gal. God knows that I need to remind myself of “the long tail sale" of books. 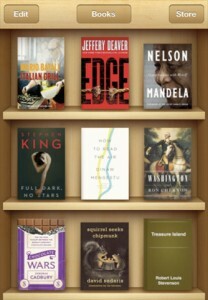 This is the infinite shelf space for my ebooks. They will forever be available. That just wasn’t good enough for me, so I decided to slash prices to .99 and upload more books. Was this bad? NO! I was just starting out and I wanted people to read my books. When I put my books at .99, it propelled me into a different reader group all together. I don’t mean economical group, but readers who like a great deal in the economic conditions we were and seem to still have. Fast forward to now…six months later, 19k ebook sales, over $9,000 (I have POD too), and many faithful readers. Not bad for six months. 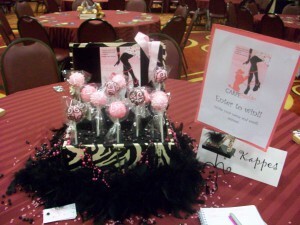 2011 was a banner year for self published authors. The fantastic royalties with Amazon, all the new ereaders, the option to promote your novels just as a big six author on POI, Kindle Nation Daily, Ereader News Today, facebook pages promoting .99 books, Twitter, Kindle boards, Nook boards, reader blogs. . .the list goes on and on. 2011 became a level playing field for us. And we set the standard for the .99 point price. Of course! It’s a no brainer. At that price point it was an instant one finger click. 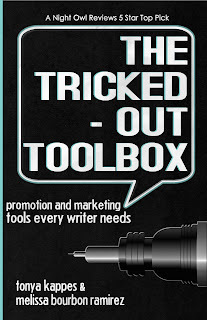 A click that sold lots of your book and sent you to the best seller list on Amazon, not on Barnes and Noble, but Amazon. Let’s face it….Amazon is the bread and butter for most Indies. Me included. 2011 I made Amazon’s Movers and Shaker’s list five times, making it to number ONE on two occasions. Every day I’m on a different best seller list which puts me in other author’s streams allowing me to find more readers. Readers have always been my primary goal to my writing career, because with out them I wouldn’t be an author. Now I’ve reached a different time in my career and looking to the future. And I think 2012 is going to be that year to help me look for what I need to know for myself and my career. I think that 2012 is going to be a lot harder for the Indie author. Publishers are getting smarter, promo pushes are getting bought by publishers, tax laws are changing, Amazon is getting more competitive with their new select program, publishers are competing with their authors back lists and selling them at lower prices. 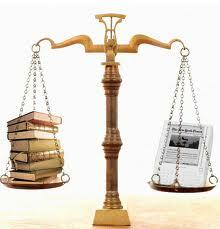 KDP select is causing publishers and Indies to make a choice. Which I did enroll my entire Grandberry Falls series and will blog on this at a later time. But the select program has changed the algorithms once again, and it’s no secret that Amazon will be pushing those books even more, leaving the Indie with one less feather in our cap if not participating. I sell over 100 Splitsville.com ebooks a day. A month ago I was selling 100 Splitsville.com ebooks a day and ranked 2k in the store. Today I sold 100 Splitsville.com ebooks a day and ranked 32k in the store. What does this mean? It’s getting more and more competitive. When I look at my “people who bought this bought this” stream, I’m noticing it’s more than just .99 novels. Right after the announcement of the new select program, I saw a significant decrease in sales. AND I MEAN BIG!!! Only selling 50 of each novel a day. I know some of you are rolling your eyes because 50 per book is good, but when you are used to hundreds it kinda hits you hard. I’m taking it as an opportunity to do something that is practically taboo with Indies. So I changed my prices! I made all my full length novels 2.99. Now some of them haven’t changed because it takes a while, but I did it. I even had a moment when I freaked. Behind my back, my husband changed them all back to .99. When he told me he did this, I freaked again! I know he was meaning no harm, but I had made peace with my decision and felt good about so I went back in and changed them to 2.99. I’m going to continue to keep my novellas at .99. Like I said it’s getting more and more competitive, so why would I change my price to 2.99? Why would I PUNISH MY READERS? I emailed NINETEEN (Why nineteen? Because I tried to get a good selections) of my most faithful readers. 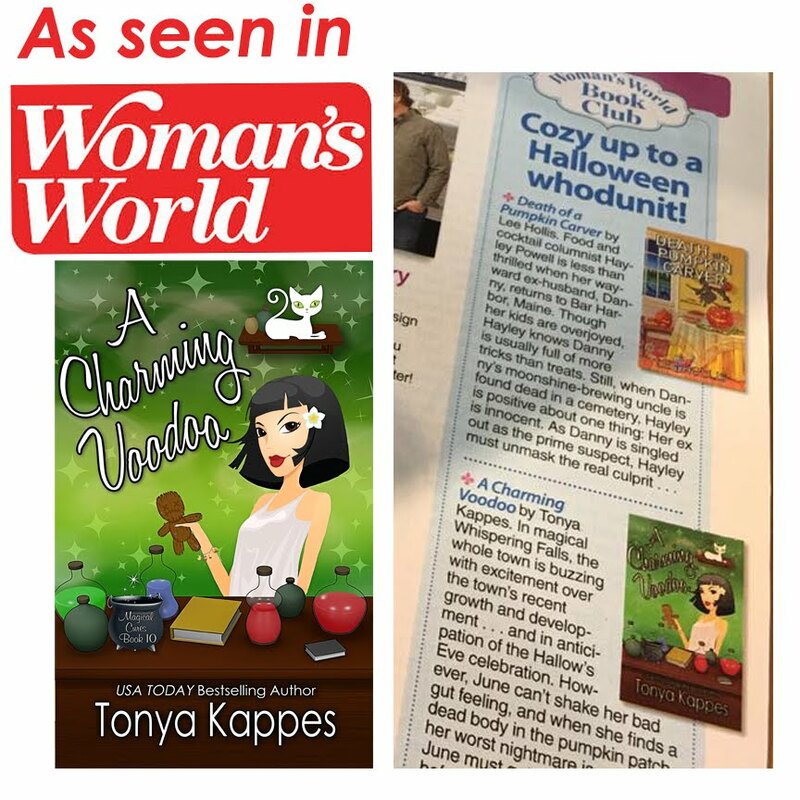 Readers that have sent me emails telling me of different mistakes in my novels, readers that told me that they loved my .99 price range, readers that have supported me through my transition from publisher to self published author, readers who loved one book but not the other. I chose NINETEEN readers that are oranges to apples. And I knew they would be honest with me. Plus I emailed ten different Indie authors in all different price ranges. NOW don’t get me wrong. I’m not saying .99 didn’t do a lot for me. AND I’m not saying I’m never going back to .99. BUT the long and short of it is this…. I want writing to be my only career. I have another job, the one I got my masters degree for, the one that pays the bills, and I’d love to be able to quit that one day and just write. I know you can make money at .99, especially if you have out a lot of books at .99. I’ve come to the conclusion that it’s great to be on Amazon’s best sellers list, but I’d love to make money too. It has nothing to do about screwing my readers. $2.99 isn’t going to break their bank. It might make them read the blurb a time or two, but I’m willing to sacrifice my chances to see exactly with $2.99 will do for me. I’m not getting greedy. I’m not trying to catch the big fish. I’m just trying to make a living just like you. I think you will agree that I’ve spent a lot of my time writing, promoting, marketing and mostly at the expense of sleep, family, or me time. 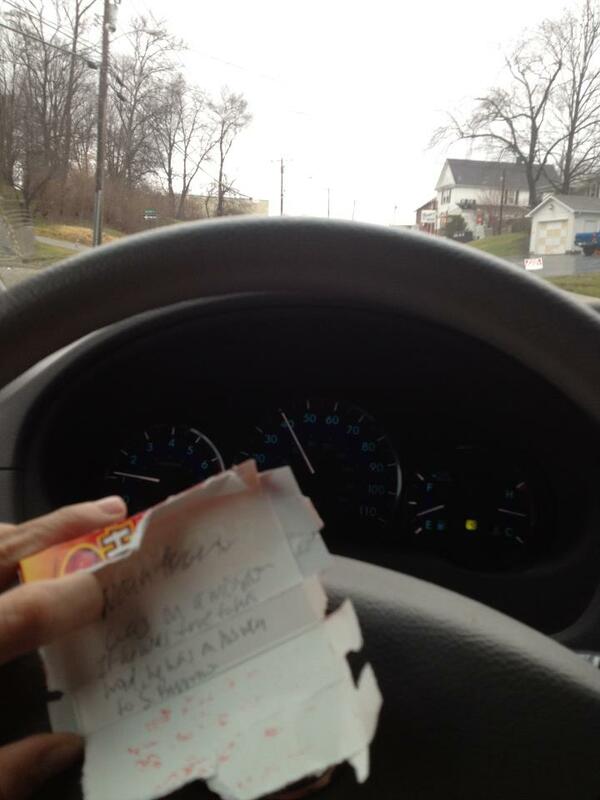 I write at every free second I get, including sporting events, practice, vacations, toilet (yes! ), church, grocery, car line, movies, restaurants, everywhere. I’d love to be able to cut out that day job to really see how much writing I can get done. This might not be the answer, but for now it’s my answer. The best part about this Indie gig. . .I get to make the choices that I think is going to work for me, and if it doesn’t I can change it! If you haven’t gotten to read Konrath’s guest blog with Elle Lothlorein, you should. She’s inspiring to me! “Consider what Starbuck’s has done for coffee. I am not a coffee connoisseur, and I could probably count the number of times I’ve been in a Starbuck’s on one hand (let’s face it, I’m never going to say with any measure of confidence: “Yeah, I’d like an antibacterial ricin-berry latte with a squirt of methadone and a splash of yak milk.”). People may grumble about parting with their six dollars, but they’re unlikely to grumble about the coffee. Why? Because at six dollars, customers assume they’re getting one high-class cup o’ joe. At six dollars, they want it to taste good. And if it doesn’t? Well, they’re more likely to convince themselves that it does. After all, who spends six dollars on something that tastes like crap? Throw in the peer pressure of “everyone else seems to like their six dollar cup of crappy coffee just fine,” and you have an impressive marketing strategy on your hands. Or I’d like to think of me as the APPLE brand. . .okay maybe not that big, but I’d love to be! Apple products NEVER go on sale. Apple found their customer base. They have perfected their products and continue to perfect their product keeping their customers happy. I’m going to take the base of readers I got and continue to give the best possible product I can at a slightly higher cost that will keep everyone happy. I feel like I’m starting from the bottom. I feel like I’m going to be able to truly see what $2.99 can do for me, an Indie author who has been at the top of the charts my entire Indie career, and I will take you along with me! Oh~I still love my readers and they know it!!!! Today came with sad news that the literary community has lost a dear friend, L.C. Evans. "It is with great sorry that I share ~ We lost one of our own last night. Our beloved and lovely lady, Linda Evans succumbed to her battle with cancer . LC Evans fought like a tiger. A lady tiger. Linda was always kind and generous with her time. She was never too busy to help a friend or respond to a fan. Her daughter Jenny will be taking over the promotion of her mother's books. It would be wonderful if we could support the sales of LC Evans delightful novels to help defray her medical bills. I have a feeling Linda is watching us right now. On one of my Facebook author groups, there was a questioned that was posted and it made me pause. How many words did you write in 2011? What have I learned writing so many words? I've gone through two different editors last year, but stuck with Matt Rush, because he really did help me learn. I've been going to my critique group, Heather Webber, Shelley Shepard Grey, Hilda Linder-Knepp, and Cathy Liggett for two years. They have seen me grow leaps and bounds over the past few months. Writing that many words has made my writing stronger! Having a great critique group, that have taken different paths, is encouraging and will help me do anything to achieve my goals. And having an editor that will take the time to really teach me has been proven priceless. More importantly, how many words did you write? And has it changed your life? The annual Reader and Writer Get Together is now open for registration!!! The Get Together is possible because everyone pulls together. For only $50, you get an entire weekend of fun with authors, readers, publishers, editors and agents. But our focus is to make this FUN for the readers. LOTS of giveaways, terrific raffles, plenty of face time with your favorite author, a multi-author book fair, photos, meals, games, parties... join us, and I promise you won't regret it. 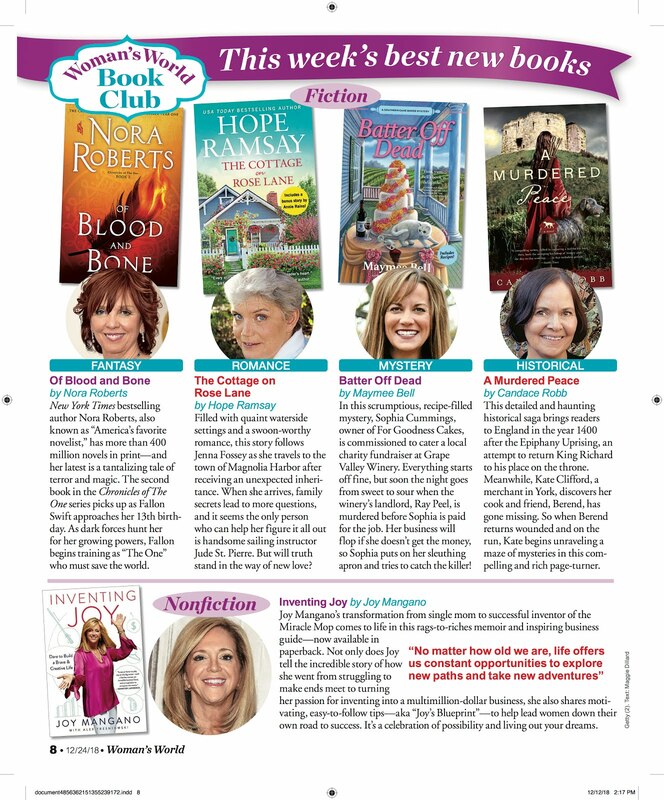 Here is a list of all the amazing authors that are participating this year! 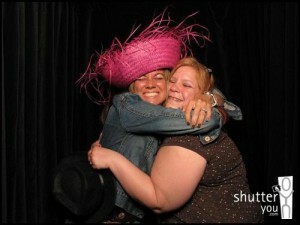 Last year was so much fun getting to meet and greet that readers upfront and personal! I loved every second of it and can't wait to do it again! Always giving away some swag! It looks like Apple is getting in the game of self published authors this month. Good eReader is reporting that Apple is going to "launch an new digital platform" that will get their share of the success that Amazon (KDP) and Barnes and Noble (Publit) has seen over the last fifteen months. What does this mean for authors? This is great for self-published authors because the only way to published on Apple products is through Smashwords. And that can take up to six weeks. With the option to upload to an Apple publishing, the author will be able to get their product out faster like they can do with KDP and pubit. Is this something we saw coming? YES! As soon as we heard that KDP was coming up with an Amazon exclusive, we knew that some other type of epublisher like Pubit or Smashwords might come up with something similar. But Apple? The fact that we do know is that Apple will announce their new venture this month and it has nothing to do with products. TechCrunch is reporting that “the event will not involve any hardware at all and instead will focus on publishing and eBooks (sold through Apple’s iBooks platform) rather than iAds. Attendance will also be more publishing industry-oriented than consumer-focused.”Apple "will use the EPUB format and make it very easy for people to convert their documents or existing books to comply with their format." Why now? The CES, the worlds largest consumer technology tradeshow, is next week in Las Vegas. This isn't the first time Apple has announced something big before the show to steal the thunder. Apple did this two years ago with the IPad. So more than likely, Apple will take the show again with this news. What do you think? Would you go with an exclusive Apple over Amazon's KDP select?